Closing the books faster and more accurately remains to be a vision for many organizations. At the moment, closing the books is a recurring headache for finance departments who are still operating on old spreadsheet ways. While there are conscious efforts by most organizations to try and streamline their current finance processes, most still have a long way to go. In today´s climate of change and volatility, the business that is last to adapt and respond is the first to go. It is therefore incumbent upon finance leaders to lead the efforts in process streamlining and automation, so the business can become more responsive and competitive. The road to the business becoming dynamic and responsive requires that the finance department of that organization act as effective business partners. However, the sad reality is that most of the finance personnel´s time is spent on chasing data input, validating data, rechecking financial statements, and doublechecking reconciliations. Understandably so, these are vital tasks to check. The problem is that when much of their time is spent on these tasks, very little time can be spent providing critical business insights and decision-making support to the business. This is obviously not good because for strategic and effective business decisions to be made, real-time insights must be readily accessible. Thankfully, there are financial analysis tools in the market today that are aimed at helping finance departments streamline and automate processes. Financial analysis software like Performance Canvas Financials provides a clear and real-time picture of the business through its self-service analytics, drag and drop financial reporting, and other injected financial best practices in the platform like unlimited what if scenarios, driver-based budgeting and live forecasting among other things. 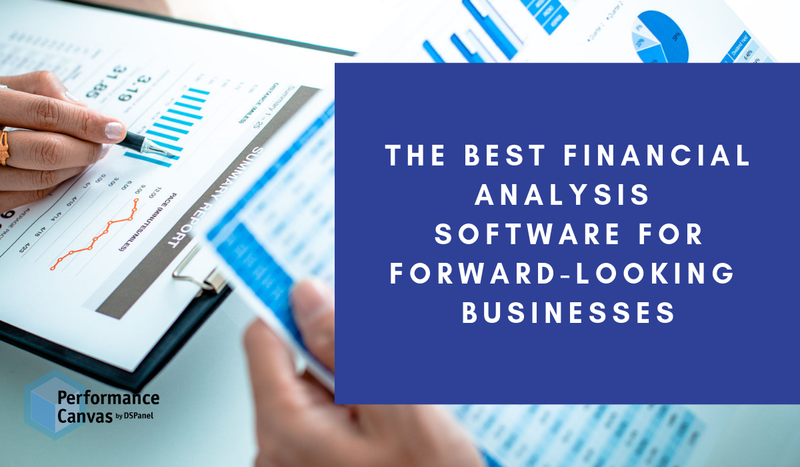 Adopting a financial analysis software such as Performance Canvas Financials ensures that finance leaders can elevate their finance processes to a level that will effectively allow them to act as business partners. The acceptance and use of a robust financial analysis software will enable finance departments to be forward-looking and competitive. Imagine all the opportunities to be had for the business when data input is standardized, self-check mechanisms are in place, intercompany eliminations and reconciliations are applied, financial reports can be generated in just a minute or two and other vital business information are captured as they happen. The business will always have a good understanding of where it is and where it can possibly go.